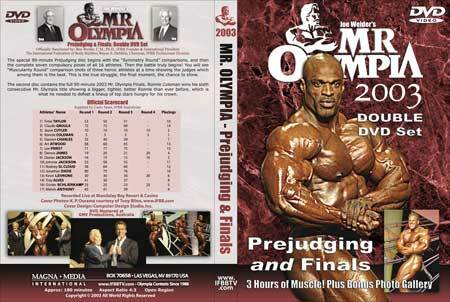 At last you can enjoy the Mr. Olympia contest at home using your DVD player for maximum definition of the world's greatest physiques! 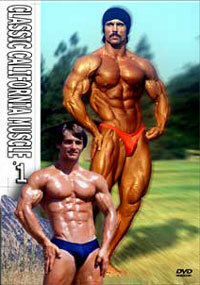 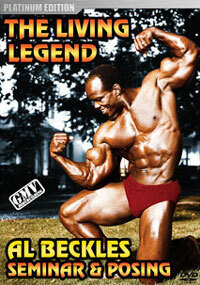 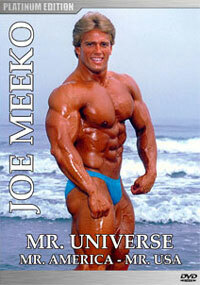 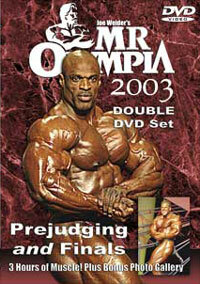 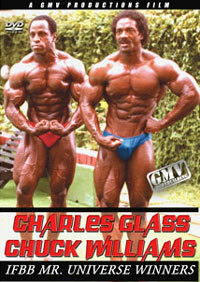 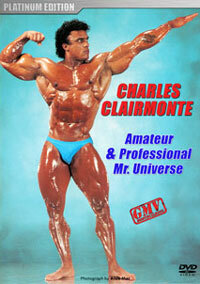 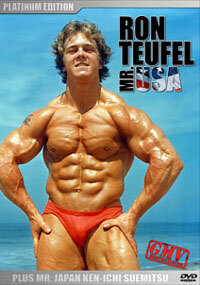 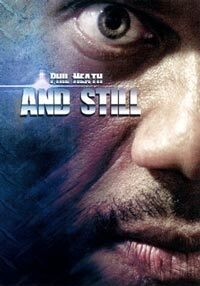 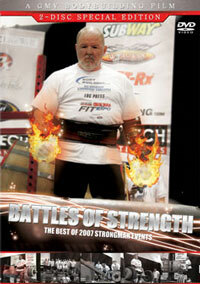 This special double-DVD release includes both the 90-minute Prejudging Video (with the Symmetry Round, the solo compulsory poses of every athlete, and the Muscularity Round man-against-man comparisons); PLUS The 90-minute Finals Video with the individual posing routines of every athlete, an appearance by Arnold Schwarzenegger, award presentations, and Ronnie Coleman's victory speech. 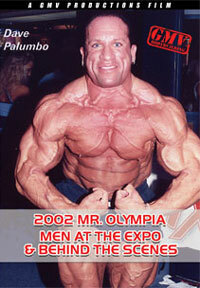 PLUS you get an added special Photo Gallery of the 20 best images from the whole contest!